The number of young people being entered for GCSE drama in England has fallen by 5.5% to less than 60,000, contributing to an overall drop in the uptake of arts subjects that has increased since last year. The continuing diminishment of creative subjects at GCSE is underlined by a total drop of nearly 100,000 entrants across all arts subjects in the past two years. The number of pupils taking drama at GCSE level fell from 61,955 in 2017 to 58,595 in 2018. Drops were also seen for media/film/TV studies, music, performing/expressive arts and design and technology. Dance is not included in the published list despite being available as a GCSE. In total, there were 51,285 fewer entries for arts subjects at GCSE this year. Combined with the drop of 46,000 recorded in 2017, the number reaches more than 97,000. Of the subjects that are not part of the English Baccalaureate, including drama and other arts subjects, 26 out of 27 suffered a decline in entries this year, with art and design recording a marginal increase. 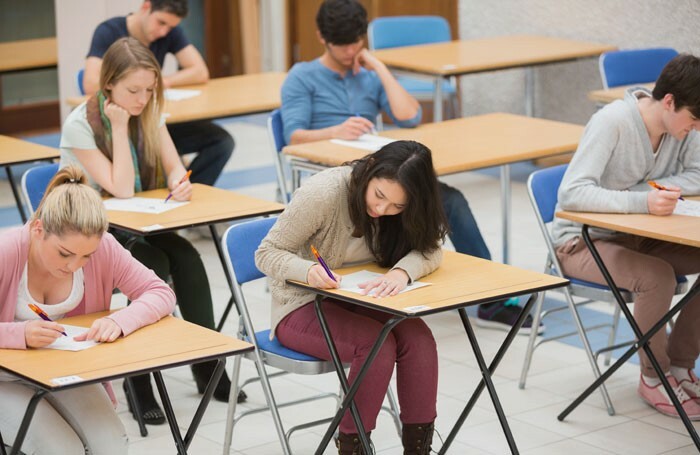 This is set against an increase in uptake for all but two of the EBacc suite of subjects, according to new provisional entry figures released by exam regulator Ofqual as this year’s summer exam season gets underway. A government document identifying an overall decline in non-EBacc subjects – including all arts GCSEs – indicates that schools are putting more focus on subjects that are part of the EBacc than those that do not count towards it. The EBacc, introduced in 2010, comprises a list of core subjects, including English, maths, science and languages. It uses the number of students achieving at least a C grade in these core subjects as a way of measuring a school’s performance. The falling number of creative GCSE entries follow repeated claims from schools minister Nick Gibb that the EBacc is not having a negative impact on arts education. In a column for the Telegraph published last month, Gibb “firmly disagreed” that the EBacc put creative subjects at risk. He said the government’s efforts to give all pupils a “stretching core academic curriculum” need not be a barrier to a high-quality arts education.